New Leaf Residential Services Inc. was founded in early 2003. Our company was built on the belief that all individuals can excel in a community setting regardless of the difficulties they face on a daily basis. Our combined experience of over thirty years working with individuals with intellectual disabilities gives us a unique advantage in helping all persons live a life full of potential. 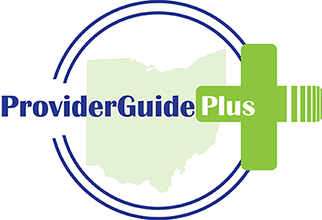 Our primary experience with IDD and Mental Health comes from our years of service working for the State of Ohio Department of Developmental Disabilities. New Leaf is proud to announce that our services are accredited through the Joint Commission's Gold Seal of Approval. New Leaf has a “don’t quit” attitude when it comes to the individuals we serve; we have made a pledge to never abandon an individual or family in crisis. My son received his waiver & moved into supported living at age 14. I chose New Leaf when they were a young & growing company because I was impressed with their mission, highly impressed by their years of experience in the DD field, & astounded by their outstanding expertise in working with complex behavioral issues. Throughout the many years New Leaf has been serving my son, he has made tremendous progress; beyond my wildest dreams as a parent! I cannot be more thrilled with the program development, therapeutic interventions, clean and well kept homes, & their dedication and care for the persons they are serving. My son has remote monitoring in his home, which is a newer technology being embraced by the State of Ohio. New Leaf also embraces this technology and it has been wildly successful for my son. Staff is well trained and the way New Leaf does business is beyond reproach for the individuals in their care. The support I receive from New Leaf as a parent is unparalleled in the DD arena. Communication on issues that may arise with my son, both positive and negative, are always conveyed with the utmost professionalism, a deep root analysis is performed, mitigation is explored, and a plan is created for assistance and support moving forward. Over the years I have received many communications so we can all celebrate my son's achievements together. The company has consistently been true partners and solid team players. I chose New Leaf to be my son's rep payee and I am kept duly informed of his financial situation. They provide his transportation to medical appointments, shopping, to visit friends, and to a myriad of planned activities in the community as New Leaf is a strong advocate of their consumers being an active part of their local communities. I will leave you with these closing thoughts: Everyone has aspirations to change the world; to make their mark to last throughout time. I want you to know that New Leaf has made their own mark. They have made an enormous positive impact in my son's life. In my mind's eye, this is greater than any worldwide efforts this company may ever achieve. As a parent, New Leaf was the absolute best choice for my son's growth and continuing efforts to reach his full potential. I cannot adequately express how highly I recommend New Leaf Residential Services!